Film Plot: When the police in a German city are unable to catch a child-murderer, other criminals join in the manhunt. Grade: C7	Fine to Very Fine. Folded, single-sided. Theater used poster with minimal handling/edge wear, top vertical fold has split about 1", some small misfolds. 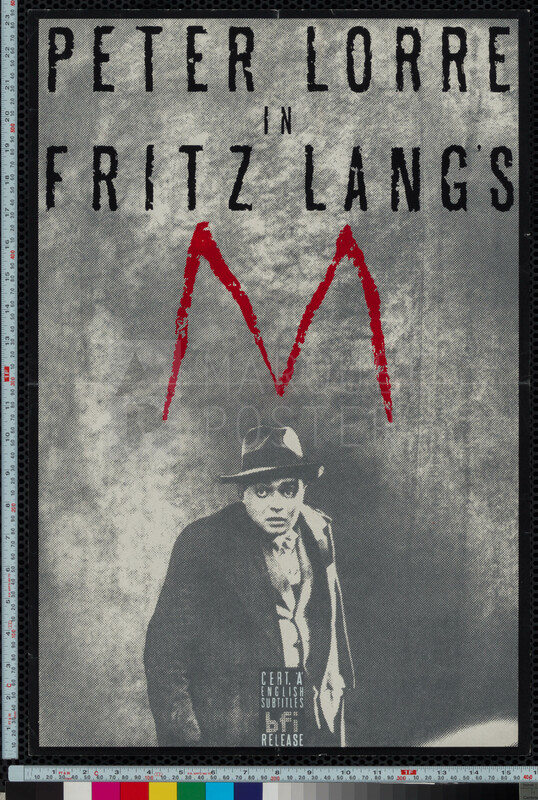 M was Fritz Lang’s first film shot with sound and was written by his wife and collaborator, Thea von Harbou. It was a groundbreaking film for it’s time, following Peter Lorre, playing a serial killer, around Berlin as there is a manhunt underway to catch him. While this may seem common today, it was highly unsettling to early film audiences to have a villian as a protagonist — and worse yet — shot in a way that at times make you fell sympathetic towards him! 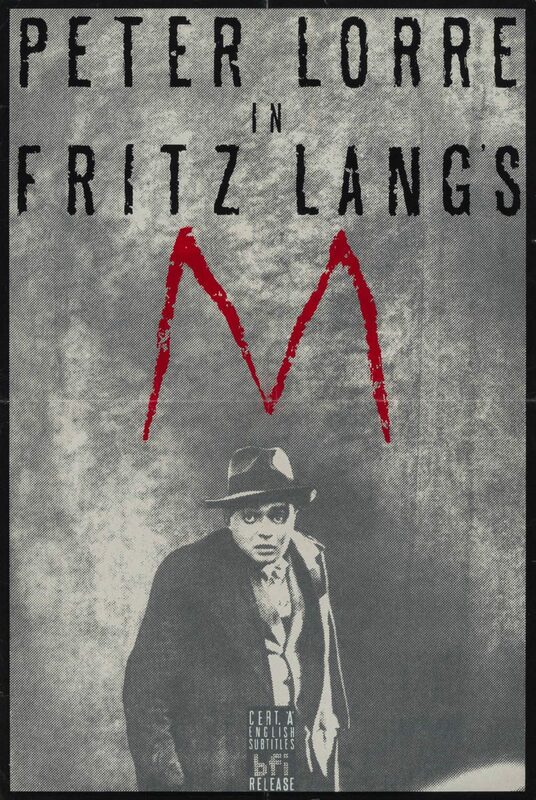 And despite the same creative duo being responsible for Metropolis, one of the greatest science-fiction films ever made, Fritz Lang himself deemed M to be his finest work. This British re-release poster has a great pop-art feel with visible half-tone dots in teh design.